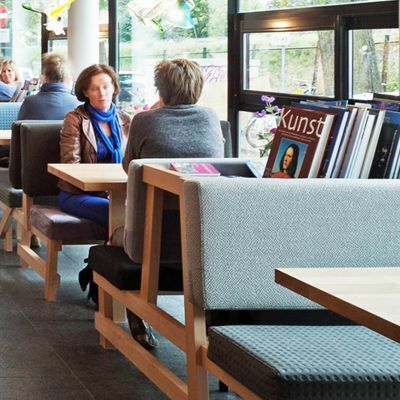 Want to discover the highlights of Arnhem? Hotel Modez is like a museum; there is so much to see, in so many colors and in so many ways. Combine it with a visit to the Eusebius. The Eusebius Church (also known as Grote Kerk) is the largest church in Arnhem, not to be missed! Take a glass lift that goes right up the church tower, see the beautiful carillon bells up close and reach a breathtaking viewpoint (73 meters high). Via a spiral staircase you can reach an even higher viewpoint. Do you dare to stand on one of the glass balconies? Access ticket for the elevator and the panorama balcony of the Eusebius Church.